Apple has released the MacOS Sierra 10.13.2 in the stable channel for all Mac supported devices. You may get the offline installer link for your device in the article. MacOS Sierra 10.13.2 delivers security patches to your Mac OS, one issue was root user login that causes attackers to get full access without any password or security. This issue has been addressed in this update, and a few other issues have been resolved. I have added offline installer link for MacOS Sierra 10.13.2, you may easily grab the installer and enjoy offline installation and share the same standalone installer with your friends and family who are having limited data bandwidth. The compatibility with third-party USB audio devices has been improved. The compatibility of Braille displays with Mail has been improved. The overall performance of OS has been enhanced and improved. Some security updates have been given to a few of security contents of macOS High Sierra 10.13.2. I have listed down those components, you may see the changelog for each component. The Apache (a web server) gets a security update that is available for macOS High Sierra 10.13.1, macOS Sierra 10.12.6, OS X El Captain 10.11.6. When you update the apache to version 2.4.28, various issues will be fixed. It is available for macOS High Sierra 10.13.1, macOS Sierra 10.12.6, OS X El Captain 10.11.6. Its impact on the malicious FTP servers is, it will be able to cause the client to read out-of-bounds memory. And an out-of-bounds read issue has been addressed. It is available for macOS High Sierra 10.13 and macOS Sierra 10.13.1. One logic error existed credentials validation and this has been resolved with improved credential validation. It is available for macOS High Sierra 10.13.1. This update gives a patch to an out-of-bounds read issue. It is available for macOS High Sierra 10.13.1, macOS Sierra 10.12.6, OS X El Captain 10.11.6. A memory corruption issue has been fixed with improved memory handling. It is available for macOS High Sierra 10.13.1. An input validation issue existed in the kernel, this issue has been addressed through improved input validation. 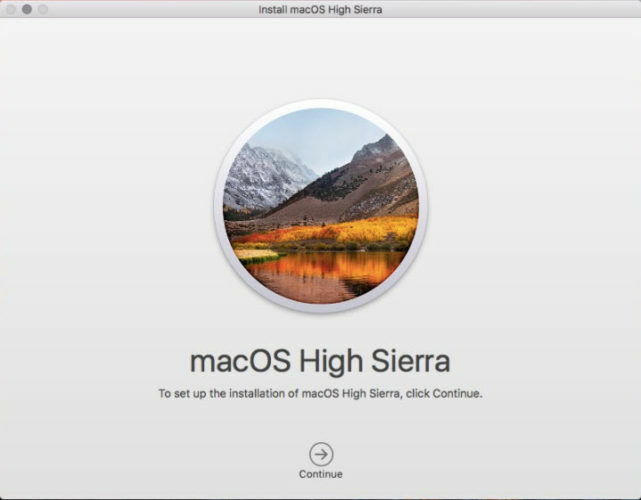 It is available for macOS High Sierra 10.13.1. an inconsistent user interface issue was found, which has been resolved with improved state management. For the complete changelog of macOS High Siera 10.13.2, visit this webpage. I downloaded the file macosupd10.13.2.dmg and tried to open it directly by double click but it does not work! what should I do to update my OSX 10.9.5? Its CORRUPTED dmg file.i downloaded the same file on apple site same problem. I can confirm. The installer is corrupted. can you tell me what is corrupted? I have confirmed that the download links are working fine. The files cannot be corrupt as the links come from Apple servers officially. I’m pc/linux user with new blank hdd on iMac and no install media. With the size of only 1.9GB, something is missing for shure (as older versions are 4GB+). Using latest TransMac on PC to create bootable USB immediately says “This disk immage may be damaged or of an unsupported format”. Other DMF files are transfered fine with TransMac, but this one fails. Does exist some online OS loader on mac? Something like linux distros with small ISO footprint, and online installation? this is only a update file and not a full version of Mac OS X High Sierra. u can download the complete file search Sierra download and ready. best regards. chris, do you have the full version of Mac OS X High Sierra. could you please bring the links for download it.